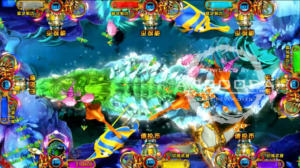 Ocean King 3 is the latest IGS game in the Ocean King fish hunting series. Loaded with all-new characters and game features that both first-time and experienced Fish hunters will enjoy. 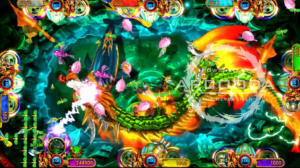 Features of Monster Awaken include high quality 3D graphics, under the sea themes, more fish characters and improved difficulty reaching level 26. There are 28 fish to catch, all of which are worth different point values. Players increase their point scores by the number and value of fish they capture during games. 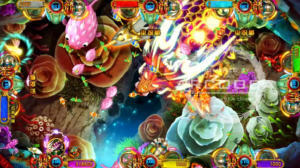 Gameplay is layered with features and mini-games. 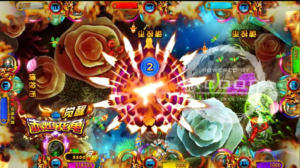 The features and minigames are important to use as they give players a higher chance to earn more points and in turn, the potential to earn more winnings. 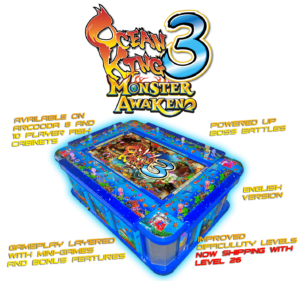 Ocean King 3 : Monster Awaken is available to buy on its own or be shipped pre-loaded on Arcooda’s six, eight or soon to be released ten-player fish machine. 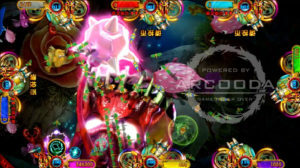 Arcooda’s new ten player machine boasts an A grade LG 58″ screen, multi wiring for all game boards and an EMP Anti Cheater Device to stop theft from happening. 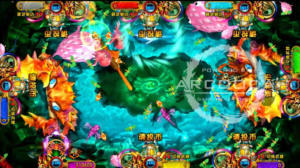 Take a look below to see images of Ocean King 3 power ups and Arcooda’s new 10 player fish machine. If you are interested and would like to know more, please contact Arcooda via email on sales@arcooda.com or phone +61249 689 313. We want you to join the discussion. Ask a question, post a comment or send us a message about our products and videos on Arcooda’s Facebook, Twitter or YouTube pages.